Ketchup is really good. 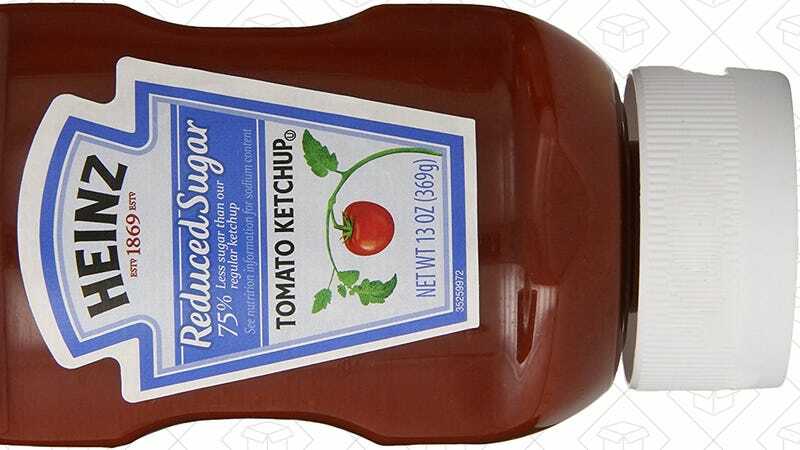 Ketchup is also full of sugar, and whether you’re trying to reduce sugar or count calories for whatever reason, ketchup and condiments in general can get problematic. 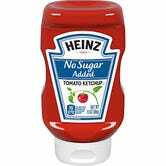 Heinz Reduced Sugar Ketchup cuts sugar by 75% and still tastes like ketchup. That translates to 5 calories per tablespoon, compared to 20 in Heinz’ original and organic varieties, and even better, you can buy it through Amazon Subscribe and Save in six packs.